Manga Nudge. 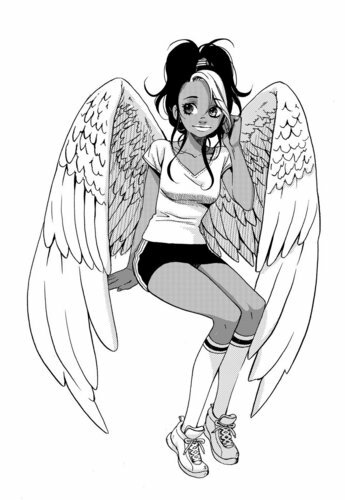 This is what Nudge will look like in the Maximum Ride Manga version. HD Wallpaper and background images in the Maximum Ride club tagged: maximum ride nudge manga. This isn't as bad as the others I must admit but the gray fog covering up most of it is kind of ruining the manga cuteness. It is pretty accurate in my opinion though. This is looking okay, I just think that she looks a little bit too old for an eleven year old. I know that they are tall and strong and stuff, but come on, don't you think she looks at least 16? I think the kid part of the flock is cuter than Iggy and Fang, but I really like Max. She is not 16. Manga artist, I am disappoint.